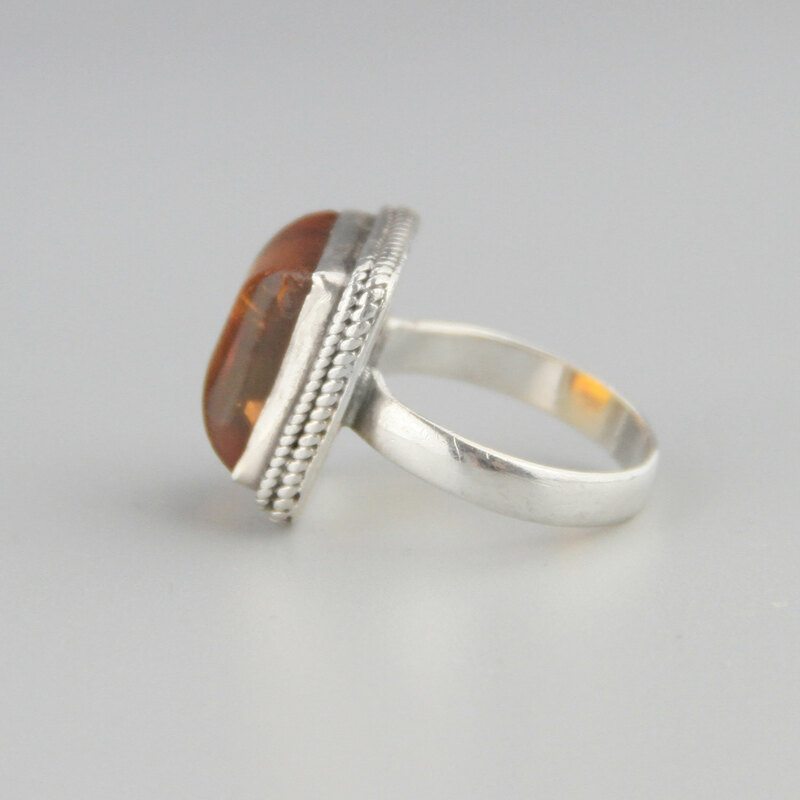 Lovely sterling silver handcrafted amber ring, squared dome with a cut out back to all light through the cloudy amber, lovely rich colour and good size ring. 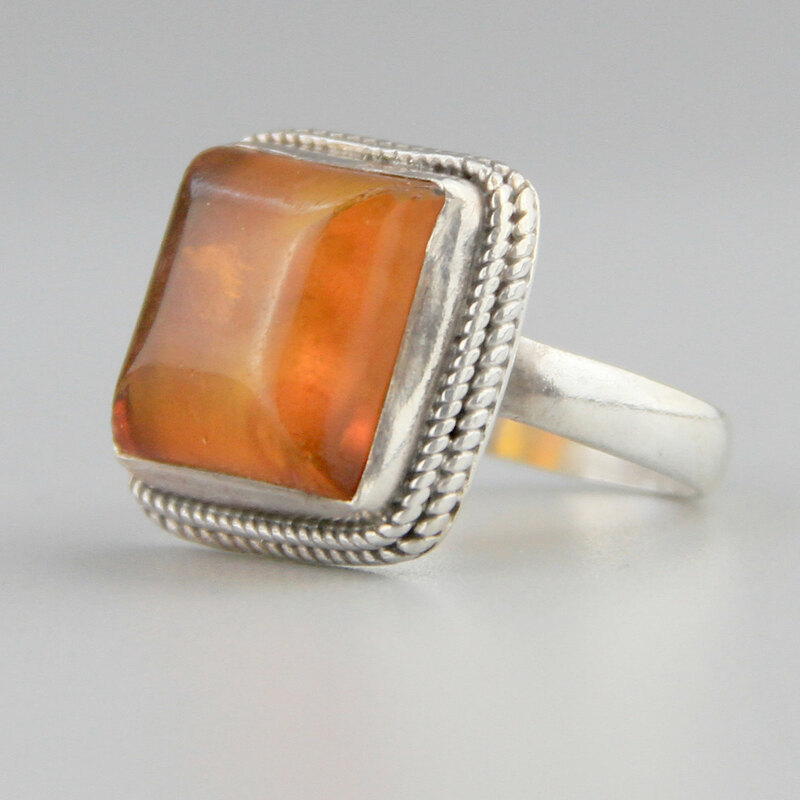 Spectacular vintage condition, mild wear commensurate with age, will come with some patina, as level of polish is a matter of taste. 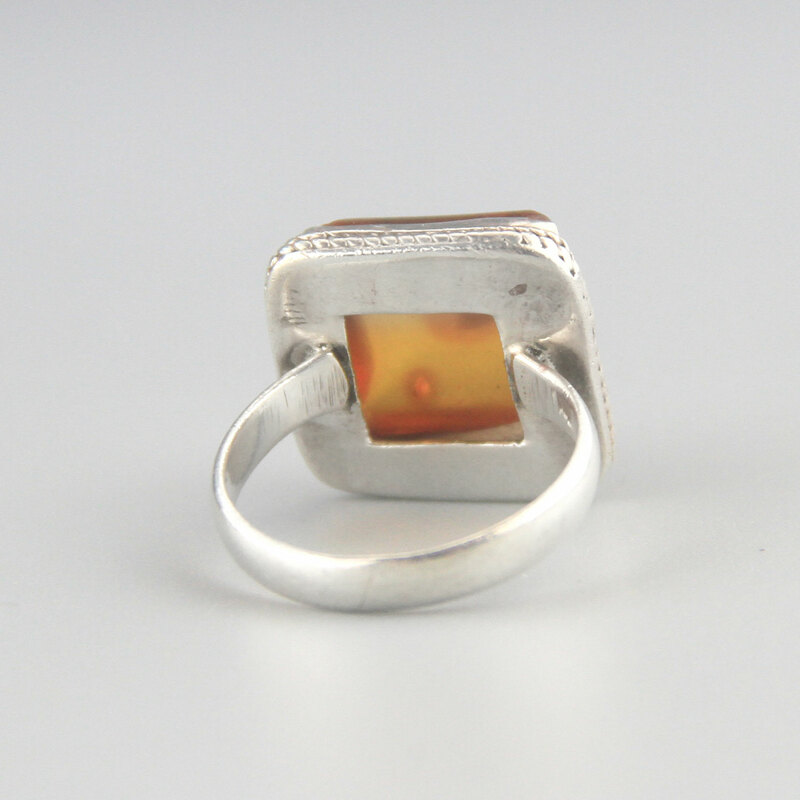 Minor age related wear the corner of the amber, only visible under magnification, Has a handcrafted look to it - amazing vintage piece.